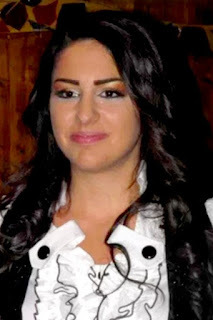 May Matar, a Lebanese singer, was born on 8 October 1987 in the north of Lebanon. Full report on the life story of Mei Matar, biographical information from Wikipedia and the latest news. May Matar was born on 8 October 1987 in Kafr Aqa from the villages of Koura district in the North Governorate of Lebanon. She lived for the first 18 years of her life in Saudi Arabia where her father worked, then returned to Lebanon to enroll in the university, graduated with a bachelor's degree in film and theater and then a master's degree in cinematography. She has a talent for singing, donated a lot of musical instruments, is also a talented actress, writer and composer, and is a licensed photography director.